Leading off a busy Thursday of online-gambling business happenings is the news that two of the giants of the Euro gambling world, Ladbrokes Coral and GVC Holdings, are back at the table and talking takeover turkey. Several UK-based business outlets broke the story early this morning following the mandatory filing of required securities notices in connection with the talks. 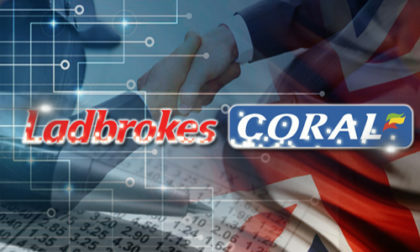 According to the filings, which are not yet available globally, the potential deal calls for GVC to acquire Ladbrokes Coral for as much as £3.9 billion (about US $5.2 billion), though it’s not a hard cap. A portion of the bid price is contingent on the potential market restrictions being weighed by United Kingdom regulators, which are due to be announced in late January. At the center of that review and controversy are the FOBTs (fixed-odds betting terminals) which are prevalent in land-based betting shops across the UK. Income from FOBT play represents a sizable chunk of Laddies’ revenue — and much less so for GVC, which is online-focused — and should the upcoming recommendations veer toward the more-severe options, Ladbrokes Coral as a whole would see its value reduced. Under such a scenario, the offer could drop by nearly £800 million, about a fifth of its possible maximum. The bid’s overall worth is thus directly tied to how severely the UKGC restricts the betting cap on individual FOBT devices. Right now that cap is £100/bet, but it’s likely going to be cut to £50/bet, though many anti-gambling and social-responsibility forces want to see the FOBT wagering cap dropped all the way to £2/bet. Thus the uncertainty, and the need for GVC to create a more complicated bid for Ladbrokes Coral. If you’ve been watching the corporate part of the online-gambling world, you’re aware that GVC has been eyeing Laddies for some time. Two previous cycles of takeover talks between the companies had failed to result in a formal bid, including earlier this year when discussions were dropped in the face of the UKGC having not yet released its findings on the UK market, including the FOBT situation. With the Gambling Commission now having limited its possible FOBT-restriction options, GVC was able to construct bids matching each of four possible outcomes. It’s also worth noting that murmurings about the renewed talks between the two companies have been circulating for several weeks. It was just last month that GVC dumped its operations in Turkey to a third-party operator. That deal was widely believed to have been done to remove a largish “grey market” jurisdiction from GVC’s books, further clearing a path for the major takeover of Ladbrokes Coral. “We’ve come along in a fairly short period of time, we’re very proud of what we’ve achieved,” said GVC’s CEO, Kenny Alexander, during a hastily-arranged conference call this morning. Alexander also stated the obvious by declaring that he’d been “keen to do a deal for some time” regarding Ladbrokes Coral. Alexander also noted that by constructing the multiple-option bid now, before the UKGC announces its changes, gives the company a first-mover advantage. Alexander would serve as the CEO of the company should a successful deal be completed, sending Laddies’ current CEO Jim Mullen, would golden-parachute his way off into the sunset. 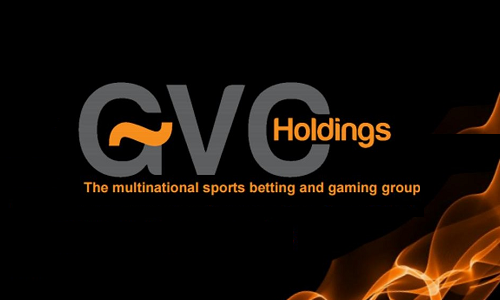 GVC has been the big winner among the ongoing merger-and-acquisition wave gripping the online-gambling world in recent years. The company has engineered two major, highly successful deals in the acquisitions of bwin.party and Sportingbet, and it’s hoping for a trifecta of corporate successes with this potential deal. Ladbrokes Coral, which has been struggling both on its balance sheet and in the public eye in recent months, saw its share price soar by roughly 30% during today’s first hours of trading.